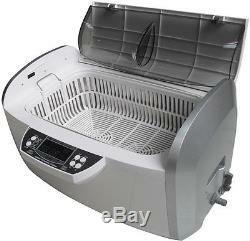 COXO 6L Digital Ultrasonic Cleaner DB-4860 Large Tank Capacity and Opening Size. 1 large tank capacity and opening size. 3 two industrial grade ultrasonic transducers. 5 independent control circuit for each ultrasonic transducer. 10 housing made from engineering resin. Tank size 32.3x20.5x9.9cm/12.7"X8.1"X3.9. Longest iten fits inside tank:34.0cm/13.4. Digital timer:1 to30min full range timer. Net weight:5.4kg/11.9lb. Gross weight:6.8kg/15.0lb. Unit size:43.8x30.0x25.0cm/17.2"X11.8"X9.8. The sale of this item may be subject to regulation by the U. Food and Drug Administration and state and local regulatory agencies. EUB (under 2KG): Only for USA, Canada, FranceUK and Australia. China Post (under 2 KG): 25-55 days. E-Packetunder20kg: Only for UK, Canada, TaiWan, HongKong, Singapore, Brazil(without bettery), Japan, Korea, Spain and Australia. Please repack the item carefully. 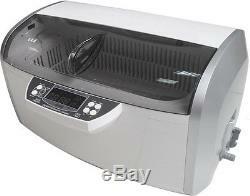 We are factory founded dental equipment Wholesaler and Retailer. If you have any questions about our service or products. You will be replied within 24 hours(48 hours in the weekend). 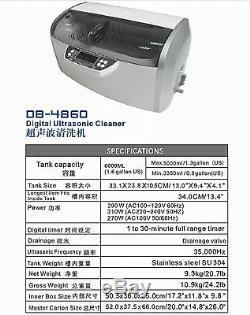 The item "COXO 6L Digital Ultrasonic Cleaner DB-4860 Large Tank Capacity and Opening Size" is in sale since Thursday, February 16, 2017. This item is in the category "Business & Industrial\Healthcare, Lab & Life Science\Lab Equipment\Cleaning Equipment". The seller is "nski-dental" and is located in xiamen. This item can be shipped worldwide.